Comments: By all accounts this season has an unmitigated been a disaster; a deadly combination of tedious pie choices and the fact Fulham can’t string 2 passes together before conceding another goal the the Fulham under 6s would be ashamed to have let in, not to mention the fact Aldershot are teetering on the brink of relegation (again). Where do you turn to in these moments of despair more distressing than Scott Parker attempting a pirouette on the edge of your box? The Theatre of Dreams! Hope and belief can be found to vanquish the rotting smell of another bland bit of pastry and turgid football in United’s sacred home! Lol jks they sell Hollands pies. Looking at the photos you’ll see the pastry paradox that faced me that faithful Sunday afternoon; a top that resembled a zombie’s scrotum, in colour and texture, along with a filling so bloody succulent, thick and orange it could be mistaken for Mick Hucknell’s flowing locks in the stand. 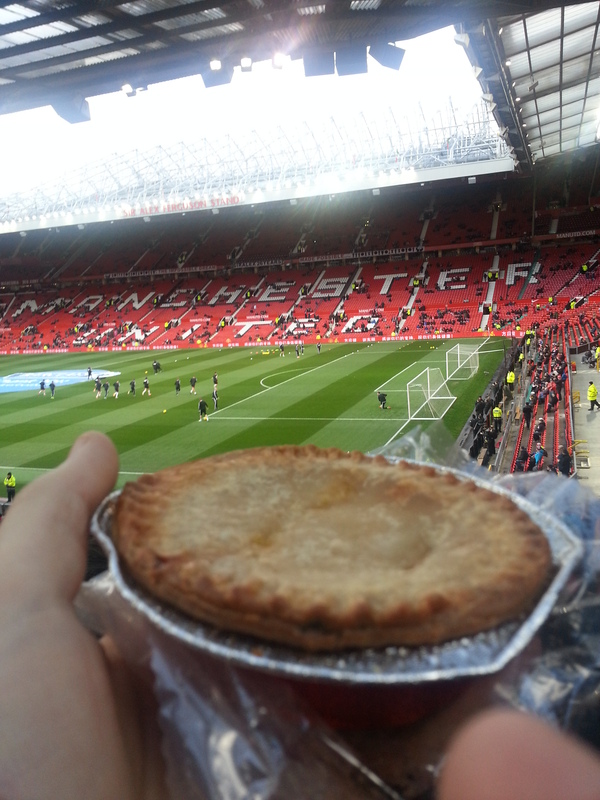 Once the surface had been flung at an unsuspecting Asian tourist, the pie was a joyous omen to Fulham’s lucky last gasp equaliser. 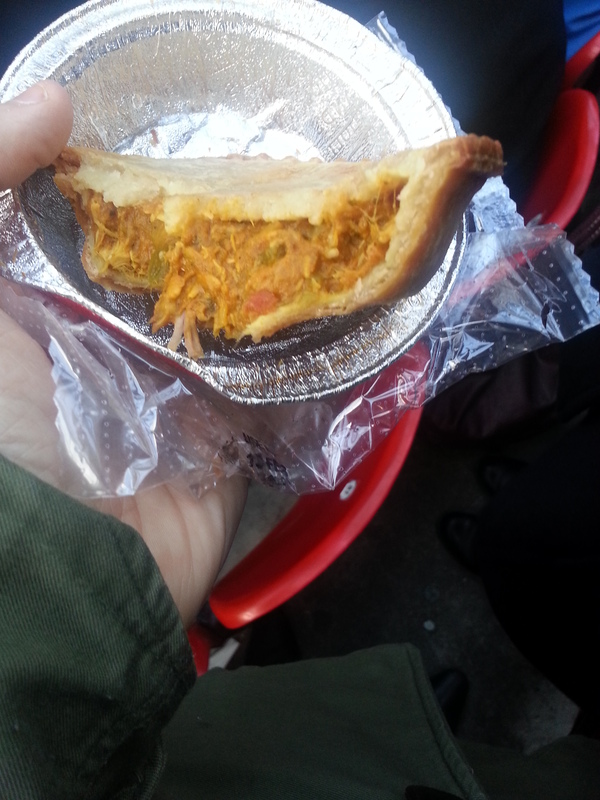 Great stuff inside the yummy little Balti was offset by the inexcusably shite pastry on top, I doubt even 83 crosses from Evra alone would have broken its cement like crust.